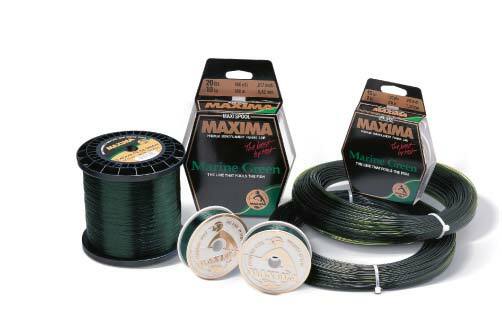 Like all MAXIMA fishing lines Marine Green is manufactured through an advanced line extrusion technology that transforms nylon of the purest form into monofilaments of highest quality level. Although limp for easy castability, Marine Green retains outstanding toughness with the kind of high-durability finish that has long been the hallmark of MAXIMA lines. Its superior abrasion resistance allows for safe handling of fish even over roughest ground and under toughest conditions.